According to sources story, the hearing of the appeal against the death verdict to Mumtaz Qadri was heard by a two-member bench lead by Chief Justice Iqbal Hameed-ur-Rehman of Islamabad High Court Pakistan. Former Chief Justice, Lahore High Court, Khawaja Muhammad Sharif is leading the panel of lawyers shielding Mumtaz Qadri in the appeal which he filed against his confidence for killing former Governor Punjab Salman Taseer in Islamabad High Court. 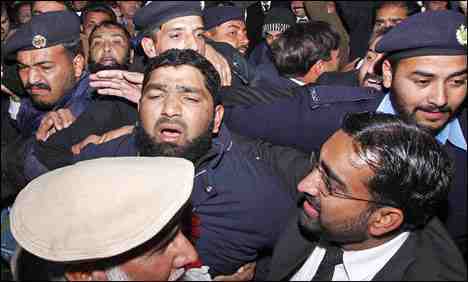 Mumtaz Qadri was sentenced to two-time death and Rs100,000 fine by the Anti-Terrorism Court (ATC), Rawalpindi on October 1, 2011. Choose the path of peace, as this is the only way for the progress of people of Balochistan and Pakistan,” the Prime Minister said while addressing the passing out parade of the recruits of the Pakistan Army belonging to Balochistan. “The agenda of these terrorists and extremists is certainly against Pakistan,” Gilani said and urged them to shun this path. The Prime Minister said those who opt not to heed to this advice must understand that they might delay progress and prosperity of the people of Balochsitan, but they cannot deprive the people from the pace of development for long. The event was also attended by Chief of the Army Staff General Ashfaq Parvez Kayani and senior civil and military officials. Prime Minister earlier reviewed the guard of honor. The young recruits presented him salute and the national anthem was played. The recruits also exhibited their prowess in anti-terrorist skills and demonstrated ways to neutralize militants. 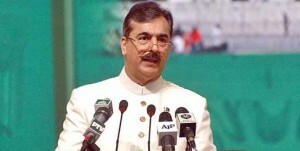 In his address to the recruits, Prime Minister Gilani said Pakistan was passing through a critical juncture and regretted that some people had chosen the path of terrorism, which was bringing a bad name to the country and to the religion Islam. Prime Minister Gilani paid rich tributes to the country’s armed forces for their sacrifices to rid the country of the scourge of terrorism. He said the armed forces and the people of Pakistan stand united to eliminate extremism and terrorism and to bring prosperity and development to the country. The Prime Minister also lauded the Baloch youth for standing shoulder to shoulder with their brethren from the rest of the country to safeguard country’s sovereignty and integrity. He said the government had planned to provide jobs to 20,000 youth from Balochistan and appreciated General Kayani and Commander of the Southern Command Lt General Javed Zia for ensuring best possible training to bring the youth from the area into the national mainstream. 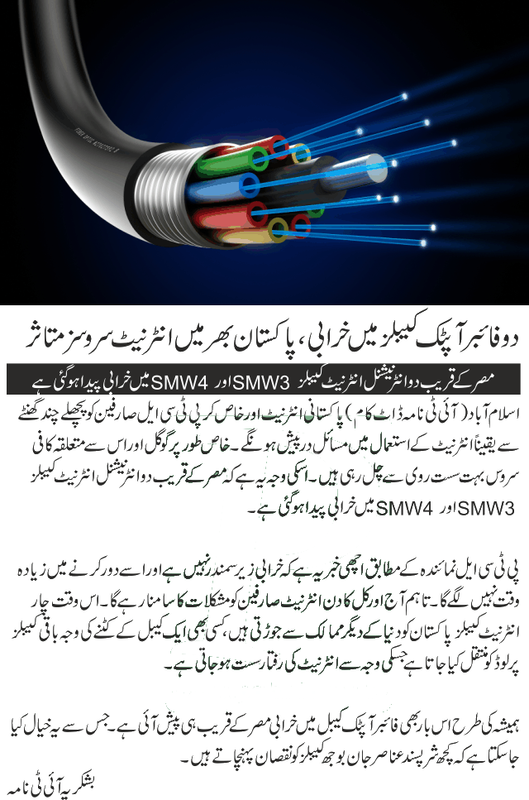 He said measures were afoot to provide natural gas in areas of Sui, Pir Koh and Looti. He said the federal government would also provide 30 per cent of its shares from its 50 per cent of the Saindak Project to the Balochistan government. Zulfiqar Mirza again said that Interior Minister Rehman Malik is liar and referred to him as “Shitan Malik”. Malik was talking to the media persons in Lyari that no one has permission to ban Peoples Aman Committee. 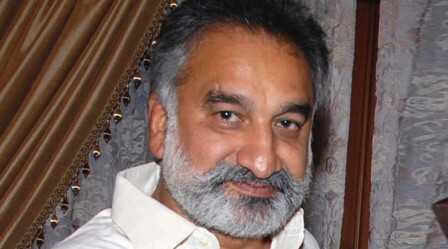 The Supreme Court decision on Karachi Situation; Mirza said every faithful Pakistani is disconsolate over the judgment and he will issue 5 lacs more weapons license if he will again be given the assortment of Home Minister; he added. Dr. Mirza said that assertion of extortion on Jamaat-e-Islami is drivel because there is no such allegation on the party in the past three-and-half years. Former Home Minister more added that Bilawal Bhutto Zardari will absolutely take part in elections from Lyari. In Lahore, 180 people succumbed to dengue so far whereas, overall death toll reaches 198 in Punjab. In form dengue completed double ton since 14 more people including former Editor Dhaka Times lost battle of life to the deadly virus on Friday. The toll now stands at 195 in Punjab while 180 of the deaths have taken place in Lahore. A resident of Kot Khawaja Saeed, 24 year-old Rabia and Bahawal Nagar’s Aliza , 7, died of dengue in Mayo Hospital. A 30 year-old Muhammad Ishaq has lost his life in District Headquarter Hospital of DG Khan. Guppy fish or Pakistan’s local goldfish is a hearty eater of the mosquitoes and larvae. Breeding the fish in water ponds is surely helpful. Besides putting over a dozen more people on the list of dead in a day, the virus continued to force hundreds of Lahorites to go to public sector hospitals and private healthcare centres for preliminary tests. The number of dengue patients in hospitals of different cities is increasing with every passing day. 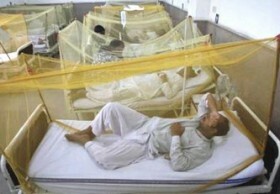 With 46 new patients, the number of dengue patients in Faisalabad has risen to 547. Indonesian experts said that it is crucial to develop awareness among people and how they can protect themselves from the virus. They also said that nurses and paramedical staff also need to be trained so that they can handle the patients properly. . In Gujranwala, there are 101 dengue patients, in Sargodha 176, Dera Ghazi Khan 42 and in Sialkot 27 patients of dengue fever has been reported so far.